Scouring the world for the best forages, ForageSeeds.com teams with Byron Seeds Company to bring you the highest yielding highest digestible forage seed and legume seed available anywhere. With a huge organic forage seed and organic legume seed selection, when people are out of seed, we have options available for you. Chiefton Reed Canarygrass Seed from Byron Seeds is very wet and drought tolerant once established. Cover Crop seed in stock. Discounts available! 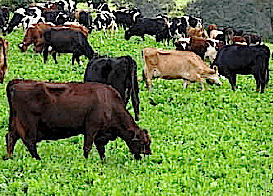 Crimson Clover Seed is an annual clover, good for hay, grazing and green manure. Plant in early fall. Cyclone II Red Clover Seed spans the country with early spring green up and strong resistance to anthracnose, powdery mildew and common crown rots. Diakon Tillage Radish is superior in reducing soil compaction going as far as 32 deep, doing what no piece of steel can do. 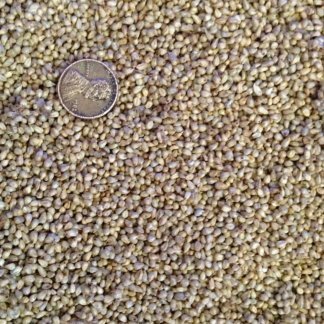 Dixie Crimson Clover Seed is idea for planting in the south as a green manure nitrogen fixing cover crop with fast establishment and early spring growth. 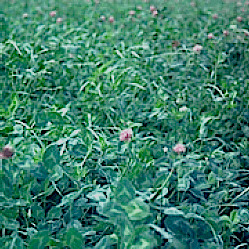 Emerald Red Clover Seed produces a mulit-year red clover with outstanding fall production and good disease resistance. 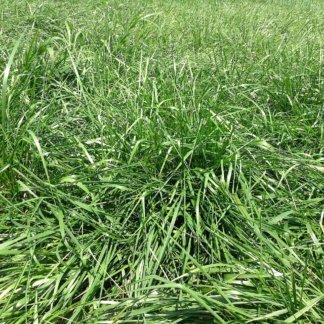 Forage Feast Chicory from Barenbrug Seeds with its deep tap root is drought tolerant and has sturdy summer production along with higher digestibility. Buy yours here!